Bonus: they're all home remedies! 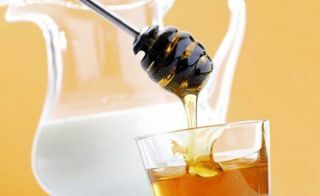 Honey is a great anti-tan agent and milk powder moisturises skin. Mix equal quantities of lemon, honey and almond oil. Start adding milk/milk powder to the mixture until it gets thick enough. Now apply this pack to tanned areas and leave on for at least 20-25 minutes. Gently massage for 2-3 minutes before washing it off. Turmeric brings a natural radiance to the skin and helps reduce pigmentation and tan. Bengal gram works as a natural exfoliator, removing dead cells and promoting the generation of new ones. 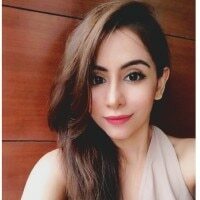 Mix 2 tablespoons of bengal gram flour with a tablespoon of milk and a pinch of turmeric, and 1 tablespoon of crushed orange peel with cold rose water. Apply to a cleansed face and leave on for 20 minutes. Repeat the same on alternate days until you're happy with what you see. Red Lentil is widely known to remove even the most stubborn sun tans, and is one of the best home remedies for clear skin. The plant steroids present in aloe vera extracts soothe burning and inflammation in skin, and help reduce sunburn and sun tan. Tomatoes rejuvenate the skin and revitalise it from within. Soak a tablespoon of red lentil in water for 25 minutes, then make a paste. Mix this paste with a tablespoon of tomato pulp and fresh aloe vera gel and massage on the tanned area. Keep it on for 20 minutes and rinse off with water. Potatoes are loaded with vitamins, minerals, and protein fibres, and possess natural bleaching properties. They are rich source of Vitamin C and works wonder on blemishes and pigmentation. 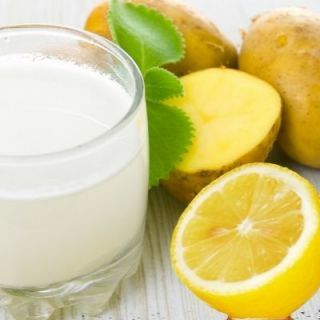 Extract potato juice from one potato, and mix in a tablespoon of lemon juice. Apply this to the face and other affected areas. Let it dry for 30 minutes. Wash off with cold water and repeat it regularly for best results. The cooling effect of fuller's earth cools and soothes skin burns and helps reduce skin irritation, rashes, acne, and blemishes. Aloe Vera gel lightens skin and is a natural cleanser. Mix aloe vera gel with 2 tablespoon fuller's earth and add rosewater. Make a paste and apply to face and neck and let it dry for 30 minutes. Clean the area with cold water repeat regularly.